1) try to replace milk instead of water. Also increase a tablespoon butter. Thank you aipi, swathi, miri and ? for your quick comments. Interesting recipe.. Looks yummy !! Fantastic combo for manchurian, seriously am drooling over that platter.. Interesting combination for a manchurian!!! love it! 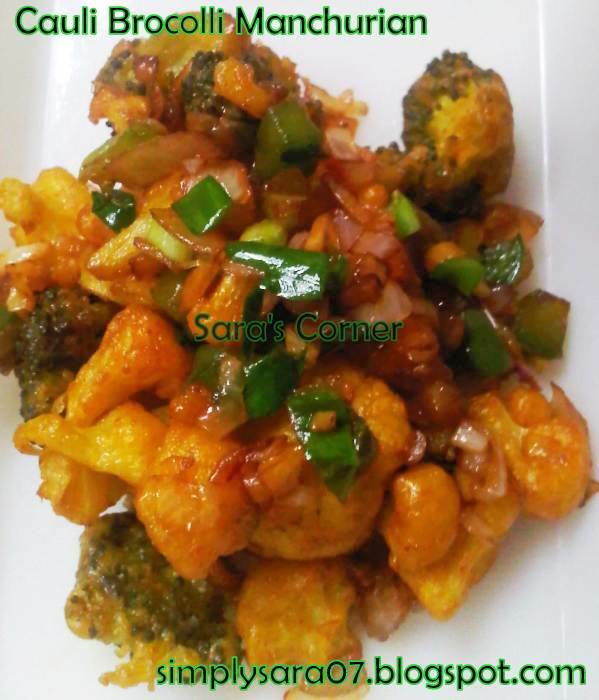 Aha Sara u r tempting me,wonderful manchurian...luks gr8! wow so tempting and nice manchurian !! nice way to eat brocolli !! Superb combo... nice way to sneak in broccoli.. Very tasty and inviting manchurian. Excellent preparation. Thank you friends for you lovey comments. Look absolutely delicious! Mouthwatering dish!